FREE Award-Winning Scifi, Custom Signed! C Stuart Hardwick is a Writers of the Future winner, a Jim Baen Award winner, and a regular in Analog Science Fiction & Fact. Join his newsletter and get his award-winning stories, free! Then get Snippet Science and publication news a couple of times a month. Newsletter goes out a couple of times a month. Your information will never be shared or sold. ​Don't Go Empty-Handed! 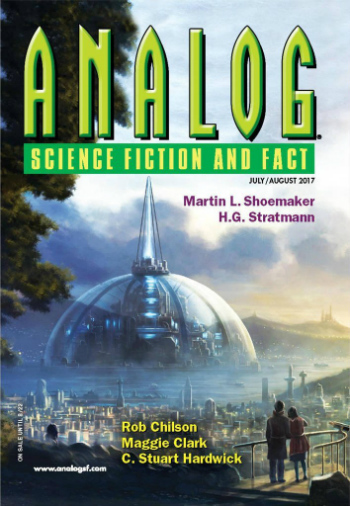 Read a ​Free Story Published in ​Analog Science Fiction & Fact! ​Authors need happy readers. ​Don't want to share your email? That's cool. You can still read a free story ​and just look for me ​in bookstores and on the web. Yes, show me the story.